Overcast grey skies and driving rain can make you feel miserable. Most of us apply the old out of sight, out of mind adage and neglect our beauty routines terrible during the cold weather. However those months of neglect means its also time for a top to toe spring clean so that you are able to strip off with confidence at the first sign of sun. The Dead Sea is world famous for its mineral rich, skin healing waters, from the queen of Sheba to Cleopatra, for centuries thousands have visited in order to bathe in this unique place. 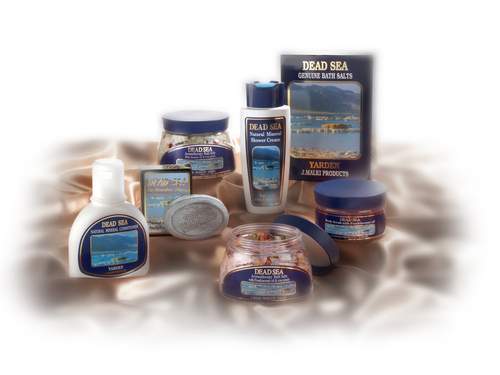 Malki’s Dead Sea range has harnessed these potent minerals and created a fantastic range that can access all areas to deliver a much needed beauty boost. There are three zones that you need to target – hair, face and body. Forget serum, masks and all the other ‘wonder’ products on the market. Just two products are all you need. By simply using Malki’s Natural mineral Shampoo and Conditioner you can put all the bounce back into even the most unmanageable hair. The shampoo contains magnesium to revitalize, calcium to nourish and sodium to invigorate. Vegetable and olive oils cleanse away impurities and add shine the natural way without nasty chemicals like Sodium Lauryl Sulfate. This ultra kind formula also means it’s tough on dirt but soft on sensitive scalps. Finish off with a liberal helping of Natural Mineral Conditioner. The reason why its so effective is what it doesn’t contain rather than what it does. No chemicals to irritate the scalp and coat the hair shaft, no artificial thickeners that dull the hair and leave build-up. Just a blend of three natural oils – olive, coconut and palm. It simply softens, detangles and hydrates without any greasy residue. Just like a moisturizer on dry skin, hungry hair will just literally soak it up. However the addition of Dead Sea minerals, that get to work feeding the hair and scalp with goodness, add an extra energizing lift to tired tresses. Exposed to the elements, covered in make-up and hardly given chance to recover before the next onslaught of abuse, we are very hard on our face and no matter how badly we abuse our skin, we still expect it to look flawless everyday. Malki’s Natural Mineral Facial Wash is a great way to feed your face without putting on any calories. It has a dual action: herbs like nettle, sage and camomile dissolve grease, unblock pores and flush away toxins, which clears the way for minerals to refresh and invigorate washed out complexions. If you are guilty of serious bodily neglect then it is time to atone for your winter sins if you want to be body beautiful this summer. Malki’s natural mineral products use hard working minerals to make light work of problem areas. For the first time you’ll happy to call yourself a scrubber! Malki’s new Dead Sea scrub with frankincense oil banishes dull dry skin, leaving you silky and soft. Simply swirl the pot to blend the ingredients and scoop up a handful. Then beginning at the tips of your toes, start to massage. The grains gently give dead skin cells the brush–off and the massaging action helps smooth the surface and flush away toxin build-up. For areas that require more attention, Black Mud Mask Soap refreshes those body parts others can’t reach. A blend of vegetable oils and Dead Sea mud tackles rough skin on elbows, knees and feet whilst providing a surge of skin refreshing minerals that leave bodies looking great. Like any organ of the body, the skin requires regular feeding and this means a good moisturizer is absolutely essential. Natural Mineral Body Lotion is a non-greasy lotion that replaces lost hydration, leaving you much smoother. Marvelous minerals like potassium and chloride replenish nutrients and improve skin elasticity. Take the stress out of scrubbing up. Two handfuls of Dead Sea aromatherapy bath salts added to your bath will transform ordinary tap water into your own private Dead Sea. Bursting with minerals, these salts will be busy detoxifying and reviving tired skin. All you have to do is lie back and enjoy the experience. There are two tempting varieties, calming Frankincense that can calm breathing and work wonders on weary muscles. Or fragrant Jasmine which replenishes moisture and brings bodies back into balance. This press release was distributed by ResponseSource Press Release Wire on behalf of RDC (UK) Ltd in the following categories: Health, Women's Interest & Beauty, for more information visit https://pressreleasewire.responsesource.com/about.